So glad to hear it’s been renewed. My husband and I enjoy watching it. The cast is superb. Love the show. Takes a lot to keep from binge watching. I’ve read all Cornwell’s books except perhaps two, and love them all. The Last Kingdom is as good an adaptation as was the Sharpe’s series with Sean Bean. Yes !!! Keep them coming I benge watched them all and oh goodness ultred yes beautiful Soul . Jumps up and down…..YYYYEEEEAAAAHHHH!!!!! I LOVE this show and hope it continues for more than 4 seasons!!! PLEASE KEEP THIS SHOW ALIVE! GREAT ACTORS,GREAT SCRIPT AND GOD BLESS NETFLIX. Thank god, best series on TV.. YESYESYESYES!!! 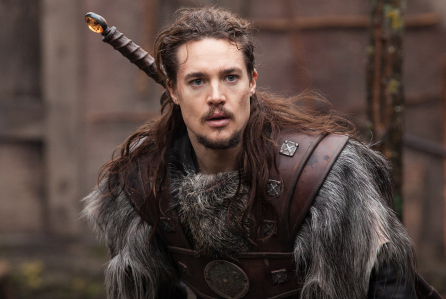 So glad that Uhtred and Company’s adventures will continue! Thank you Netflix, writers, producers actors and fans! We LOVE The Last Kingdom!!! So glad it is coming back for a 4th season!! YES YES YES……my favorite show ever! Truly enjoy this series & very anxious for the new season to air. An excellent story, superb cast! YES, we watch the Last Kingdom. We are very excited for the 4th season and reallly hope their will be more seasons to follow.